Mike Quinton, former chief executive of the National House Building Council (NHBC), is to become the new chief executive officer of IAM RoadSmart, effective from 23 April. Quinton previously ran his own financial services management consultancy and has also held the role of managing director, UK direct and partnerships at Zurich Financial Services. He also headed up Prudential’s motor and home insurance business, including steering the sale of this section of Prudential to Churchill and then RBS. 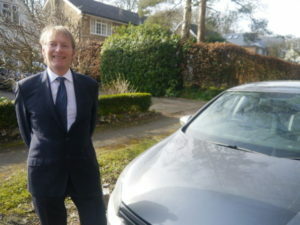 He replaces Sarah Sillars, who has completed her three-year contract with the organisation and is relocating with her family to a new home in Hampshire.